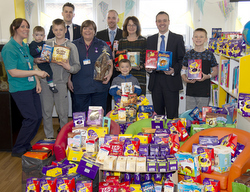 Stephen McPartland MP joined representatives from the Knebworth branches of JJ Burgess and Mather Marshall to present over 200 Easter eggs to the children’s ward at the Lister. 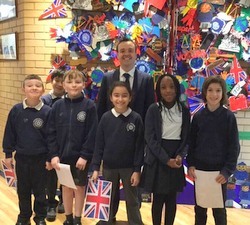 There are many happy children thanks to the incredible generosity of the Knebworth community. 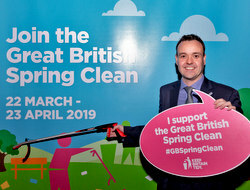 Stephen McPartland, Member of Parliament for Stevenage, is supporting a project that reaches vulnerable girls across the world with a vision to reach 20,000 girls by the end of 2020. 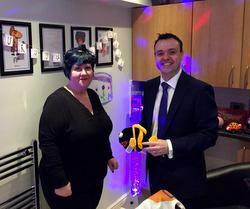 Stephen McPartland MP said, “I am delighted to support such a fantastic initiative as the Dignity Project, which is helping girls in Kenya stay in school longer to enhance their education and making sure they are aware of the dangers of human trafficking." The Dignity Project has so far reached 8,500 girls – mainly in Kenya – but is now going global, with plans to go to Brazil, India and other parts of South America and Asia. 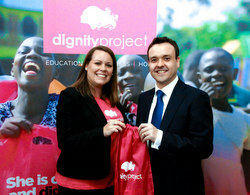 It costs £10 to put one girl through the Dignity Project. Check out www.thedignityproject.net for more information.